Hand built clay vases around a cardboard tube armature. Understanding and communication of art nouveau style. Students each get a slab of clay to build around the cardboard armature. a circle base of clay is cut, scored and attached. 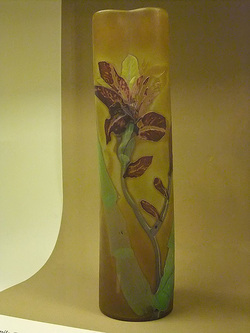 Nature elements are attached or etched into the surface of the vase.